In 1 John 2:18 he says “it is the last time” or “last hour” (NKJV). Was John wrong? Its been 1900 years since he wrote this, that’s a long “hour”. No, its a matter of perspective. For example, light came into existence when God created the heaven and earth, yet in verse three we read: “let there be light.” (Gen. 1:1, 3). Was that a mistake? No, God’s perspective changed from outer space to sea level, below the thick atmosphere that prevented light from being seen on the earth. (Gen. 1:2). He commanded it permit light pass. 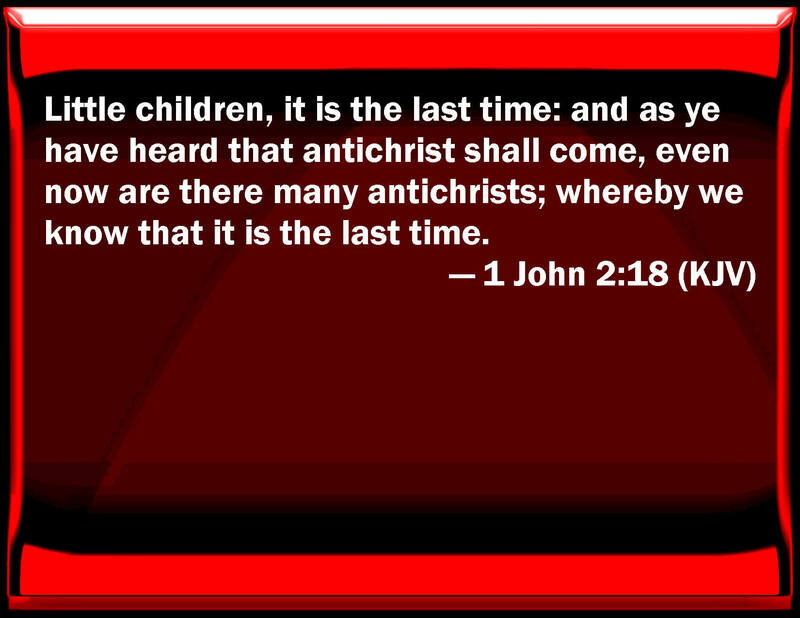 From John’s perspective, 1 John 2:18 is not prophesy the antichrist had come. John is teaching the “little children”, continuing their education. Citing current circumstances John illustrates the time directly preceding the arrival of the Antichrist. 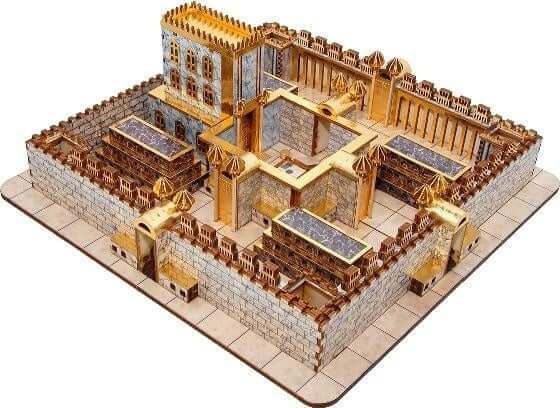 Like “show and tell.” What the church was then experiencing, is what the church will experience just before the Antichrist is revealed. There would be many antichrists denying the Father and the Son. Perhaps the literal translation “it is a last hour” is better as “the” is not in the Greek, John is describing “the general character of the period.” (Westcott). Adonikam came saying he was Jesus Christ, doing great signs and wonders according to the working of Satan. As the “man of sin” he condoned sinful behavior and worked miracles “confirming God’s agreement”. He didn’t bother with theological questions, neither did those flocking to him in the fallen away church. The deluding influence of spiritism created a strong delusion Adonikam was Christ (2 Th. 2:3-11). Only lovers of Bible truth who believed it above everything unfolding before them, saw through the deception (2 Th. 2:12-15). Concurrently, the Dragon Commander and his Nephilim preached “scientific Atheism”, even citing Intelligent Design Arguments Creationists once used, to prove they were the “Designers”. Secular leftists were ecstatic, the movement to create a new world order swept the planet. In globalist ecstasy, “all that is called God or that is worshiped” (2Th. 2:4 NKJ) fell into disrepute. It was deemed “quaint” and completely obsolete. As midperiod approached, during the “last hour” before the Beast ascended from the abyss, claiming to be the product of Creator DNA. Many antichrists streamed out of Christendom, agreeing Jesus was a hybrid of the “Creators” and human DNA. The deity of both, eternal sonship, the incarnation was denied. Jesus was not the Christ in that sense. 36 “Then the king shall do according to his own will: he shall exalt and magnify himself above every god, shall speak blasphemies against the God of gods, and shall prosper till the wrath has been accomplished; for what has been determined shall be done. 37 “He shall regard neither the God of his fathers nor the desire of women, nor regard any god; for he shall exalt himself above them all. To sum up, Satan attacked the earth on two fronts. While the four demons of the apocalypse spread the ancient alien theory false gospel and cause crisis conditions on the earth necessary for radical change in times and laws that govern human society; Satan attacks the church with a storm of lying signs and wonders in support of the Man of Sin (2 Th. 2:9-12). Adonikam collaborates with Satan and his fallen angels leading an already fallen away Church into greater apostasy until “midperiod” when he morphs into the Antichrist Son of Perdition (2 Th. 2:3-4). Then he takes charge of the Rebellion. Westcott (p. 68) translates the Greek literally—“it is a last hour”—and observes that, since no definite article is used with “last hour,” the term describes “the general character of the period” rather than its temporal nature. Stott (pp. 108–9) agrees that it refers to “the last hours of the last days,” which the author could say on theological grounds “had struck.” He understands, however, that the words involve no chronological or temporal assertions.-Barker, G. W. (1981). 1 John. In F. E. Gaebelein (Ed. ), The Expositor’s Bible Commentary: Hebrews through Revelation (Vol. 12, p. 324). Grand Rapids, MI: Zondervan Publishing House. All those who opposed Creationists “tooth and nail” when they cited intelligent design, eagerly embraced the same arguments to prove the “Designers” were our creators.